Glitz earrings are glamorous and playful. 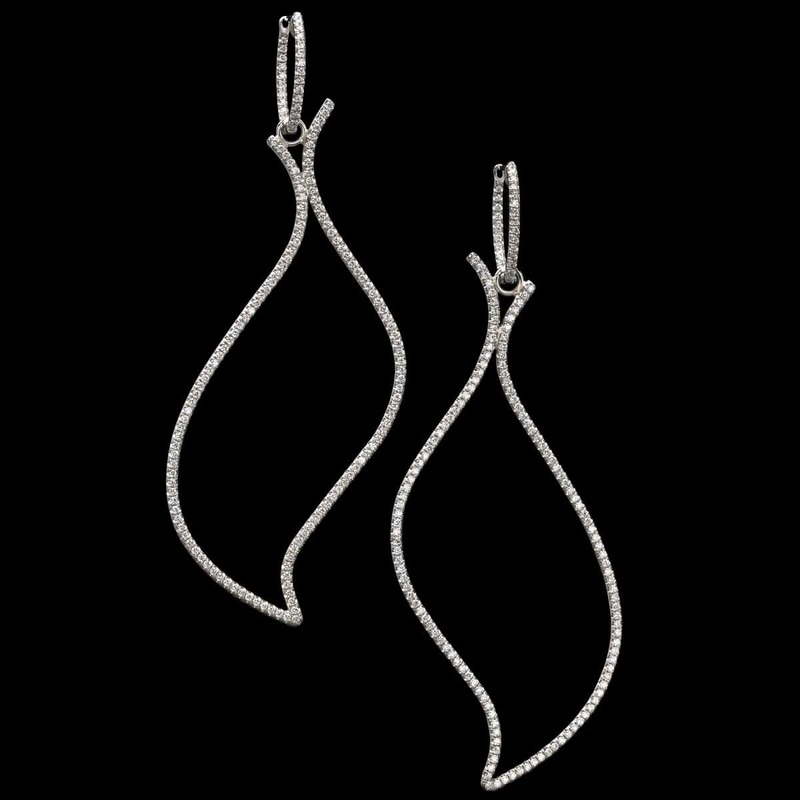 This unique earring design is crafted from 14 karat white gold. The entire form scintillates with 252 pavé set diamonds, totaling 1.25 carats. To purchase, call us at (949) 715-0953 or use our contact form below for more information.